Can you kill Mr. X in Resident Evil 2? How do you stop the Tyrant from chasing you? There are points during RE2’s campaign where you’ll be stalked by this top-hatted monstrosity, who’s also known as Mr. X. But you may be wondering how you can escape the Tyrant and when he’ll stop chasing you. In this guide we’re going to explain how to deal with the deadly antagonist, and what you should do to avoid him. 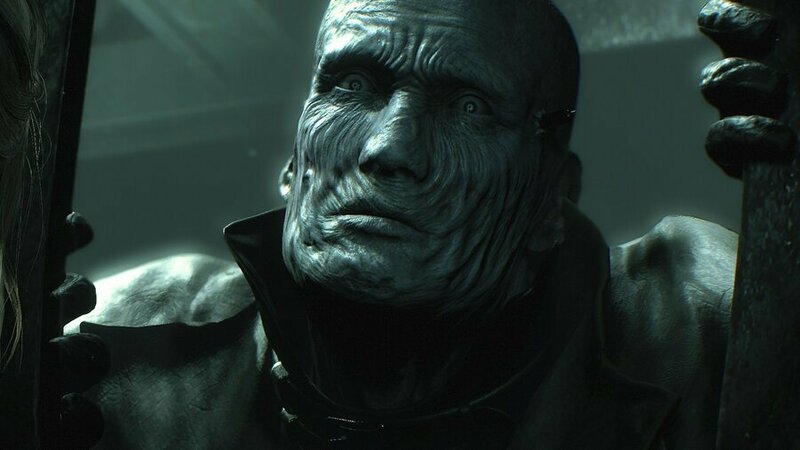 Can You Kill Mr. X in Resident Evil 2? Don’t waste your bullets shooting the Tyrant, because resources are limited and the best you can do is buy time. Inflicting enormous damage on Mr. X – with a grenade, for example – will stop him in his tracks and give you some time to escape, but he’ll soon be back on his feet thudding along the floorboards. He’s attracted to noise, so shooting zombies and getting into scuffles is the worst thing you can do when he’s chasing you. Instead, try to avoid any and all conflict, and you can learn more about that in our Resident Evil 2 tips and tricks guide. How Do You Stop the Tyrant from Chasing You in Resident Evil 2? You can’t stop the Tyrant from chasing you in Resident Evil 2. There are sequences in the game where he’ll always be hot on your tail, so until you progress the story, you’re going to have to deal with him. Try to avoid loud conflict with the undead as he’s attracted to noise. Instead just focus on completing your objectives and furthering the plot until Mr. X is removed from the equation. These can be tense moments, but as long as you plan out what you’re doing, remain relatively quiet, and keep moving, then you shouldn’t have too many issues at all. As mentioned above, you can temporarily disable the Tyrant by dealing lots of damage, but be very careful as you’re probably going to need those grenades and bullets you’ve been stashing later on. What’s the Best Way to Avoid Mr. X in Resident Evil 2? The Tyrant in Resident Evil 2 will track you down if you stay in one place for too long, so make sure you keep moving through the environment. Try not to engage in any combat encounters, as he’s attracted to noise and will find you quickly if you’re fighting the undead. If he does spot you, then don’t let him trap you in any corners or corridors. Instead sprint past his punches, and quickly put some distance between yourself and Mr. X. Even just shooting him in the head with a handgun stuns him for a sec and lets you safely run past him. @get2sammyb I was so afraid, Sammy. I started to run, and cry, probably woke up the entire zombies in the building. Just shoot the hat off, its a trophy. This part isn't as bad as a lot of people (who I'm guessing didn't start with RE until the later entries) are saying. Just have to be patient. Yeah, for real, Mr. X is probably the least threatening enemy in the entire game. He looks imposing, but he's super easy to juke around. His punch seems to have a tiny hitbox. He makes things more annoying than difficult. I plan future playthroughs around him by making sure most of my work at the RPD is finished before opening the way out. You can also hide out in several "safe" rooms such as the STARS office, the dark room near the stairs, the Chief's Office, the secret room under the statue (best place to hide IMO), and the Clock Tower which is the ONLY hiding place on the third floor. Just go in any of those rooms and wait a moment, then go about your business. He is much more annoying on the 2nd Run as you have much less places to hide, but fortunately he doesn't trigger until you reach the STARS office which is conveniently one of the hiding places. The article is still correct though, complete those objectives and he'll go away for the most part. On the 2nd play, you definitely want to speedily grab the 3 medallions so you have one more hiding place. Now Nemesis... he was a different story. If it's true RE3 is getting a remake, then Nemesis could be extremely interesting. This should've just been "No"